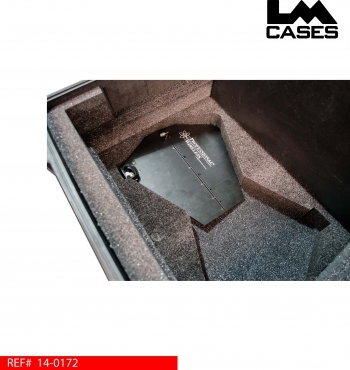 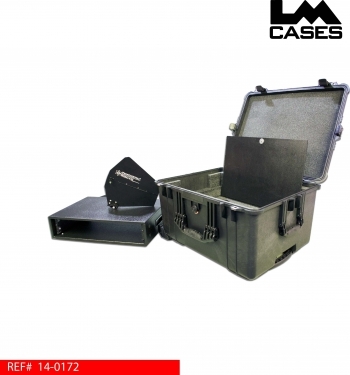 This case is designed to hold 2 PWS LPDA antennas, and features a removable 2RU rack shell. The antennae are held in a custom CNC cut foam insert that hold them in a nested configuration. 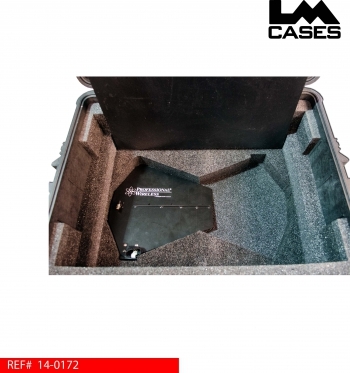 The antenna compartment is separated from the rack via a pieces of 1/4” marine grade plastic, this prevents the antennae from rubbing against the bottom of the rack shell. The rack shell is built out of 1/2” Baltic Birch plywood and is finished with black texture coating. The shell features 10/32” pre-tapped front & rear rack rail. Each set of rails is recessed .75”, and has a rail to rail rack-able depth of 11.75”. 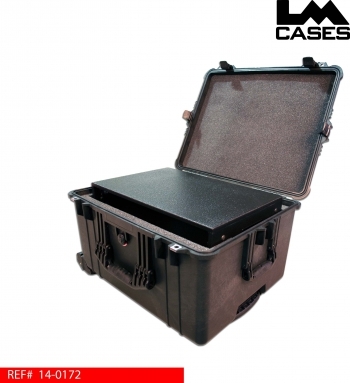 All the interior components are held in a Pelican 1620 waterproof case.